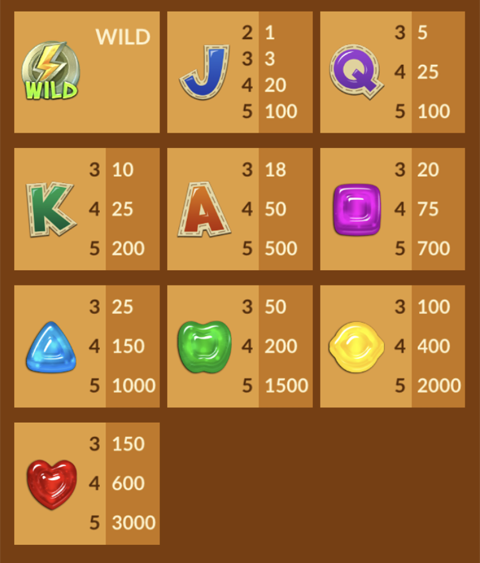 In this slot machine, based on the download game Gummy Drop! 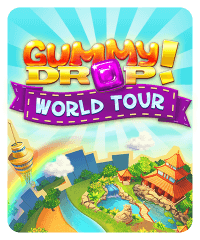 from Big Fish Games, you’ll collect Gummy Guys to complete monuments. When monuments are completed, all builders get free prizes. 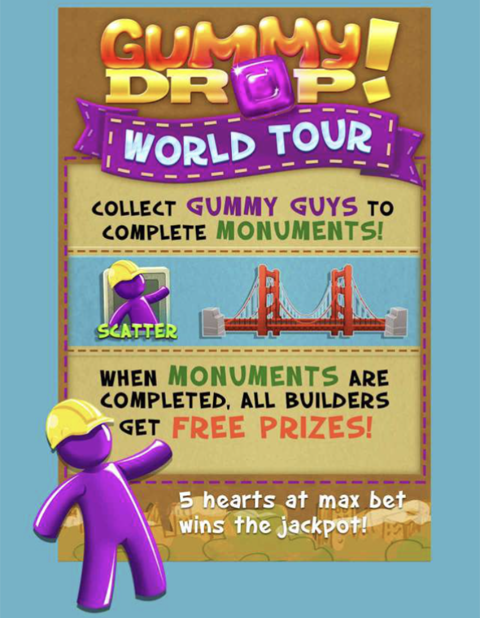 To become a builder, collect at least one Gummy Guy. 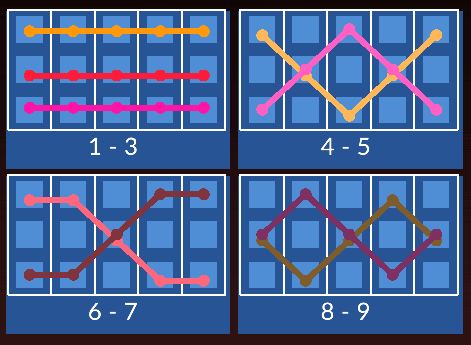 This slot machine requires max bet to win the jackpot with five heart symbols.